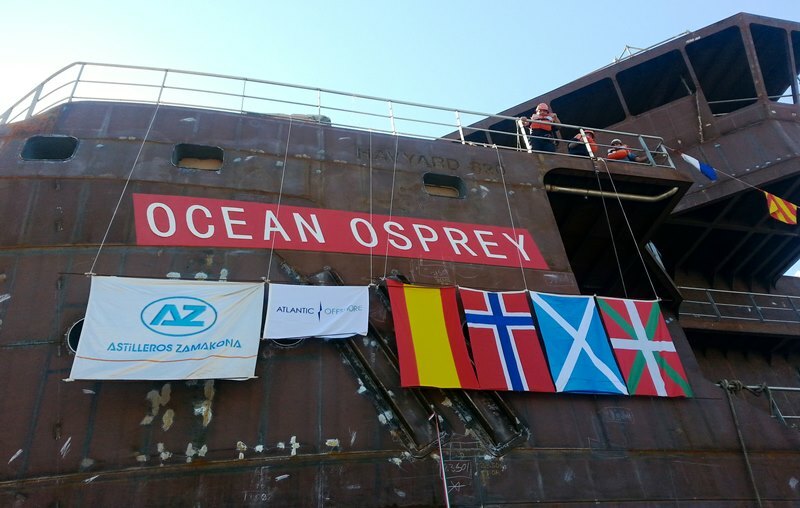 Ocean Osprey, hull#721, was successfully named and launched Wednesday 21 August at the Astilleros Zamakona Pasaia SL in San Sebastian/ Spain. Under excellent weather conditions, the Godmother Mrs. Mary Bryce (wife to Managing Director Atlantic Offshore Rescue Ltd/Aberdeen) professionally baptised and named the vessel prior the launching. At 1735 the last securing was cut off and Ocean Osprey gracefully left the slipway and entered into the water. The ceremony was witnessed by the present yard personnel, the chairman of the board Atlantic Offshore Mr. K.Øgreid, CEO Atlantic Offshore Mr. R.Wareberg and other invited guests. The importance of this event, was highlighted by the presence of representatives from the Spanish Ministry of Industry Mr. L.Varola Artola and Mr. C.Jauregui Cortina, representative from the Bask government and local authorities. 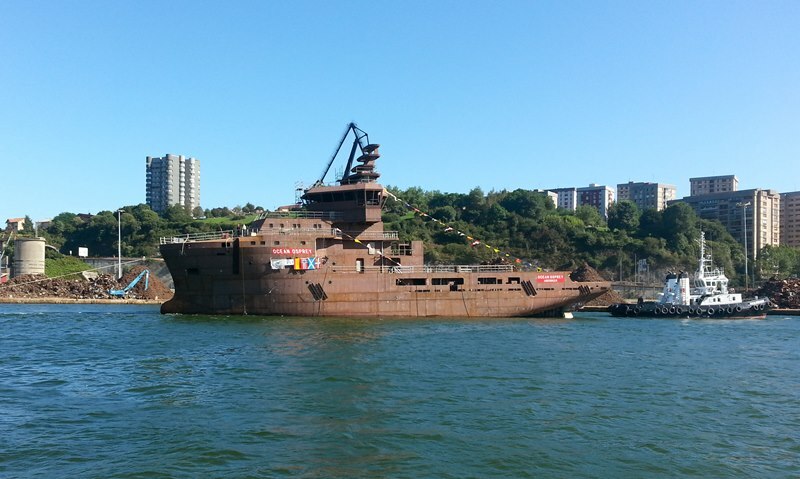 Ocean Osprey is entering now into a new face of the development with painting, drydocking and outfitting. The harbour trials are expected to take place in December, Seatrials in January and delivery within the end of January 2014. The vessel will operate in the British sector on behalf of Shell. Link to video from the naming and launching.